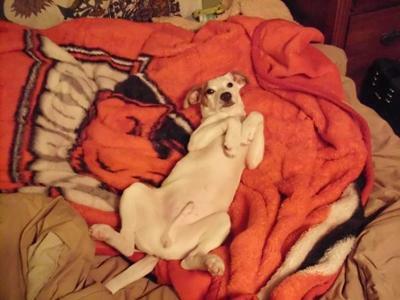 I got this little guy a month ago from a local animal shelter, who simply identified him as a "Jack Russell mix." Based on his pictures, I was wondering if anyone could help identify what kind of a mix he is...I thought perhaps jack russell/beagle mix because of the long ears and his very passive temperament. If anyone could help shed some light, I would be much appreciative. Thanks! Thanks so much for the input! 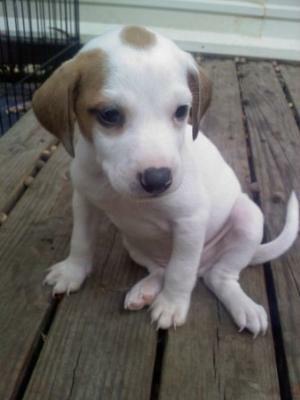 After looking at several pictures of Jack Russell/Rat terrier mixes, I think you're right. Cheers, from the States to Belgium! 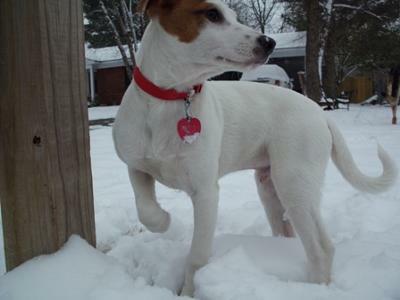 Jack Russel and Rat Terrier mix. Legs/snout look too long to be a beagle. Well, it will just be interesting to see what others say. The best to you and thank you for rescuing one of our own! 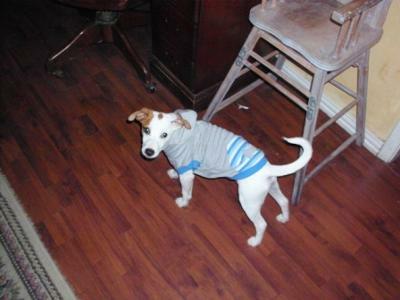 Shalom Stef, JRT/MIX LOVER in Belgium!